Bankoku Shinryokan, Japan's premier resort-style convention facility, sits on Cape Busena, one of the most scenic places in Okinawa. After serving as the main venue for the Kyushu-Okinawa Summit 2000, the center became a popular destination for tourists. 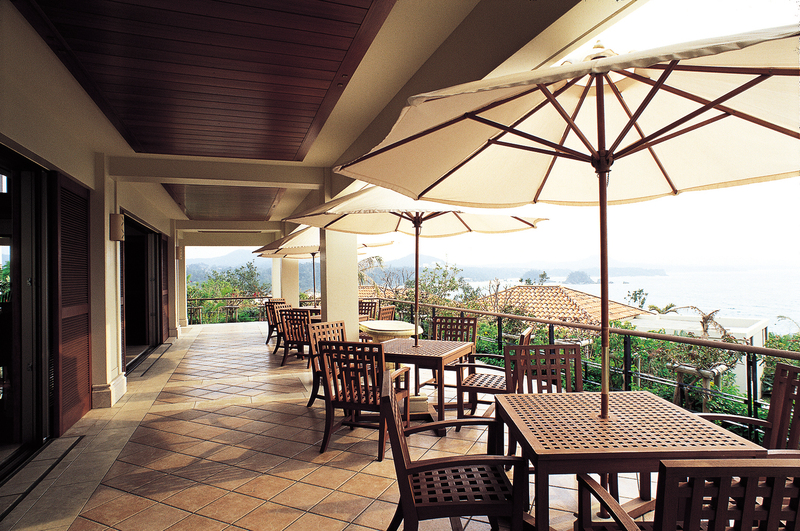 Located at the tip of the cape is the Café Terrace, which has a panoramic view of the East China Sea. 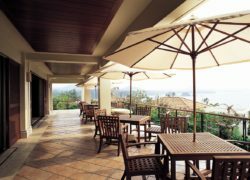 Here you can have a light meal while enjoying the spectacular vista unless the entire café is reserved for a special function.